A study has found that searching for Avril Lavigne online could prove pretty risky: not because you’ll fall into the deep dark abyss of Twitter conspiracy threads and body double plots, or that you’ll start substituting numbers for l3tt3rs in a bid to make it 2004 again. A Cybersecurity company has revealed that searching for the “Sk8r Boi” singer leads fans to viruses and malware. In the report from McAfee that “reveals which celebrities generate the riskiest search results that could potentially expose their fans to malicious websites”, Avril took first place. She was followed by Bruno Mars, Carly Rae Jepsen, Zayn Malik and Celine Dion. Lavigne is the first woman to top the list, now in its eleventh year. 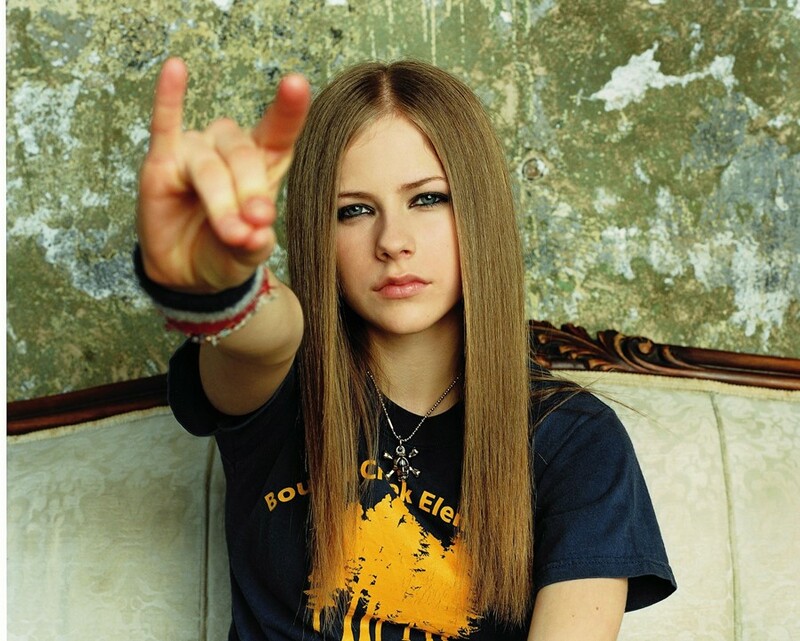 Searching for Lavigne sees a 14.5 percent risk, which rises to 22 percent if you search for “Avril Lavigne free mp3”. “Cybercriminals continue to use the fascination of consumers with celebrity culture to drive unsuspecting users to potentially malicious websites that can be used to install malware, steal personal information and even passwords,” a statement from McAfee said. The Cybersecurity firm suggest that the internet conspiracy, which asserted that Avril had been killed and replaced by a double named Melissa, could have encouraged malicious risks. The singer also announced on Instagram recently that she would be releasing new music. Gary Davis, McAfee’s chief consumer security evangelist, told the Guardian: “In today’s digital world, we want the latest hit albums, videos, movies and more, immediately available on our devices. Keep yourself safe simply by digging out your portable disc player and giving a scratchy Let Go CD a spin.